Portland’s Tanner Springs Park in the Pearl District is featured in the “Metropolis Observed” column in the March issue of Metropolis Magazine. Since attending an introductory presentation at the First Congregational Church a few years ago, I have watched the project with interest as it seeks to reveal a long lost wetland landscape in the middle of a new urban neighborhood. Despite its spatial limitations, the park is remarkably true to the vision described by landscape designer Herbert Dreiseitl in the early presentations. The dock might not float as it was hoped and the anticipated frogs have yet to arrive, but by and large the park succeeds as a small contemplative break in the new neighborhoods march towards the river. The area around NW 9th and Lovejoy: From the old Lovejoy viaduct in 1995 and street level in 2006. North of Lovejoy and east of 13th, the Pearl District overlays the site of the Hoyt Street Yards of the Spokane Portland and Seattle Railway. 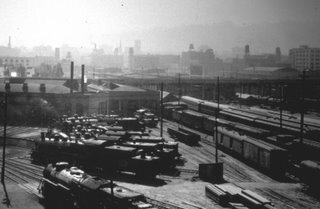 The neighborhood loses its anchor to former warehouse and industrial district to the south and becomes something entirely new. 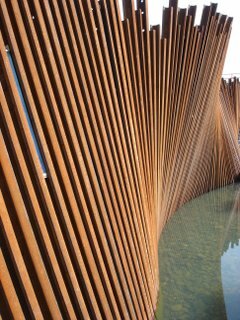 The area is not without interesting buildings but the overall effect verges towards homogeneity, a Design Within Reach world that begs for variation and surprise. If there is one place on the entire planet that might actually need a McDonalds, this could be it. 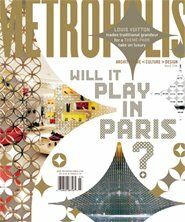 The problem might be faced by any neighborhood built new from the ground up. 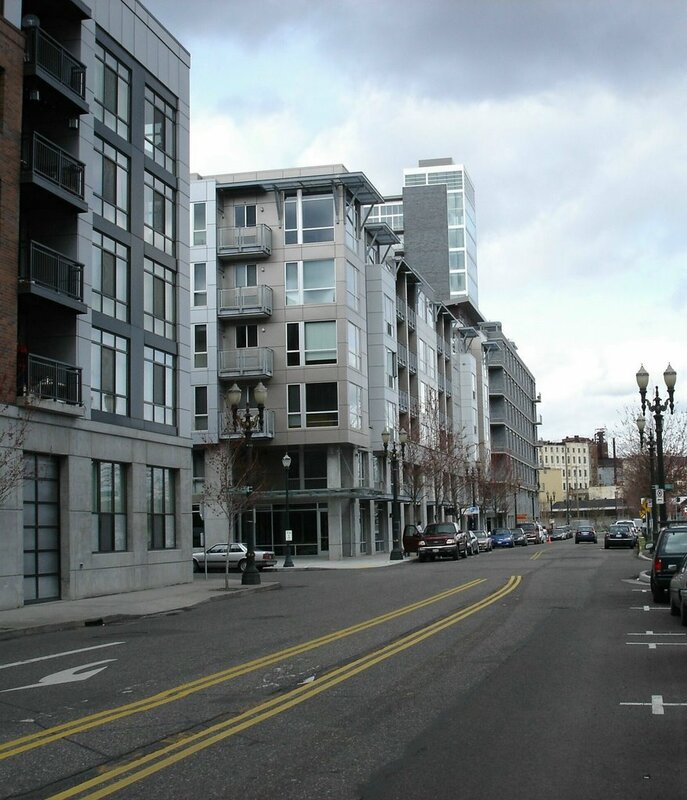 Most of Portland’s successfull revitalized neighborhoods (think Northwest, Belmont, Alberta and Mississippi etc.) had inexpensive older buildings that attracted creative enterprises and varied groups of people. To use a metaphor from the Monopoly board, those neighborhoods started to re-emerge as Baltic and Mediterranean then built themselves up to incorporate aspects of St. Charles Place, then St. James or Illinois Avenue, maybe even Marvin Gardens as they evolved. 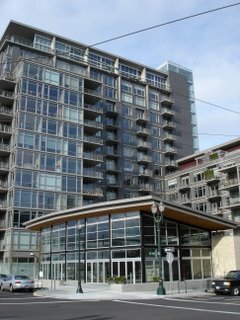 The north end of the Pearl District has to develop backwards, if not from Boardwalk and Park Place at least from Pennslyvania Avenue. 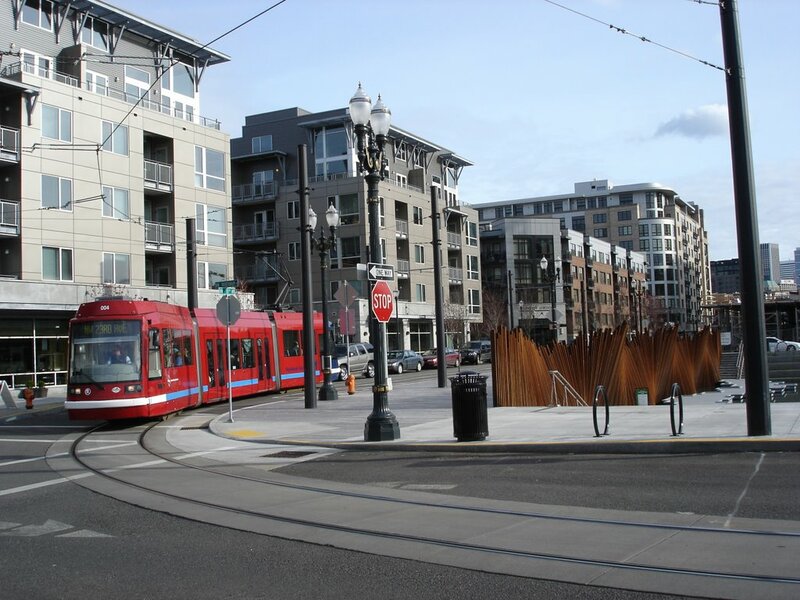 Unless buildings encouraging more diverse groupings of people and uses are built, the upper Pearl will need all the help it can get to be varied and vital. 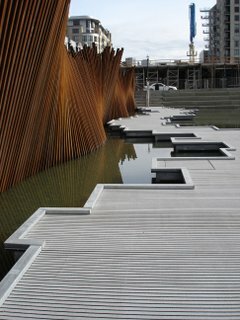 Tanner Springs Park is a step in the right direction. 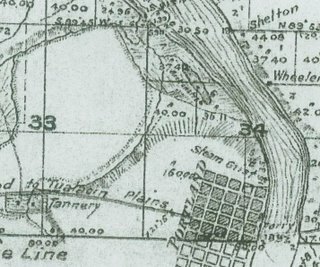 In this 1852 map, Tanner Creek meets the road from the Tualatin Plains west of town, then flows northeast towards Couch Lake and the Willamette River. 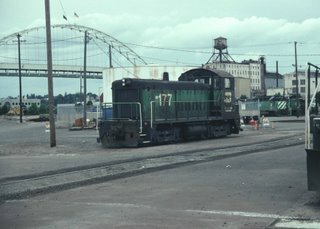 The park is named for Tanner Creek, which once passed through the area on its way to the Willamette River from the West Hills. 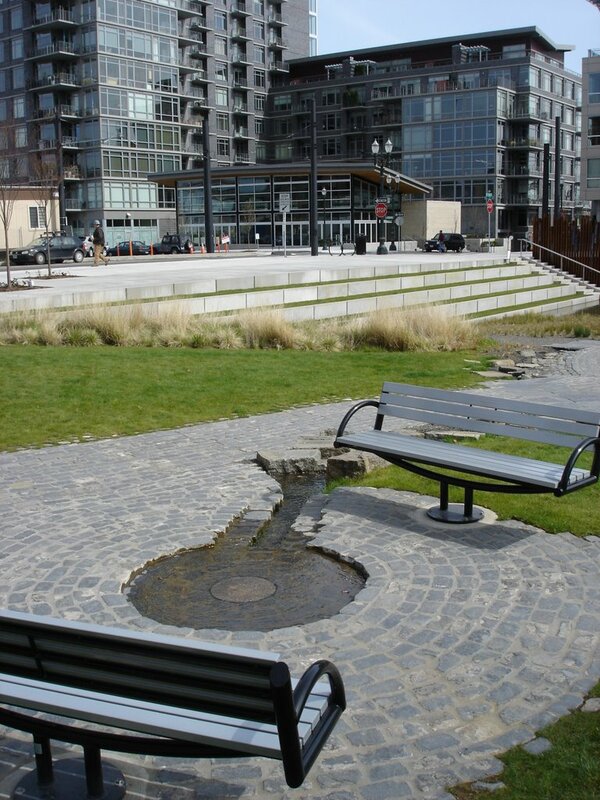 Daniel H. Lownsdale, one of the original Portland proprietors built a tannery beside the creek in 1845 near the present PGE Park (where it is rumored the tannery’s vats are still buried). 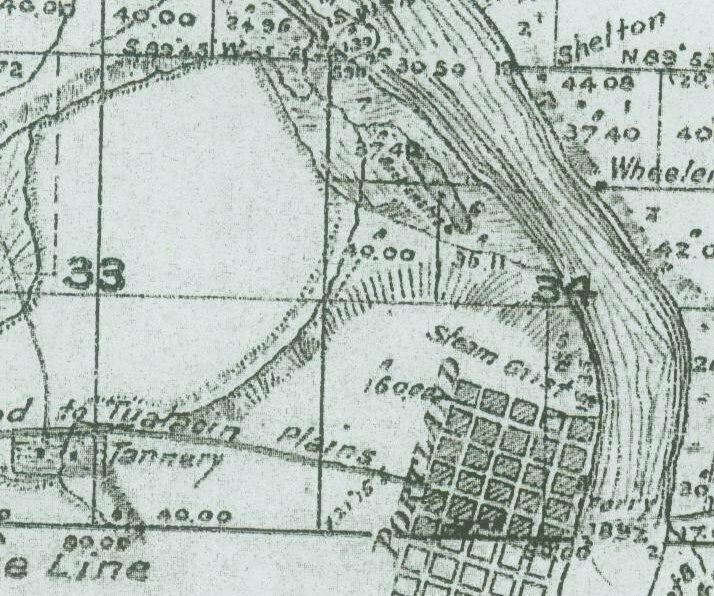 To this day Tanner Creek exists as a subterranean run-off. 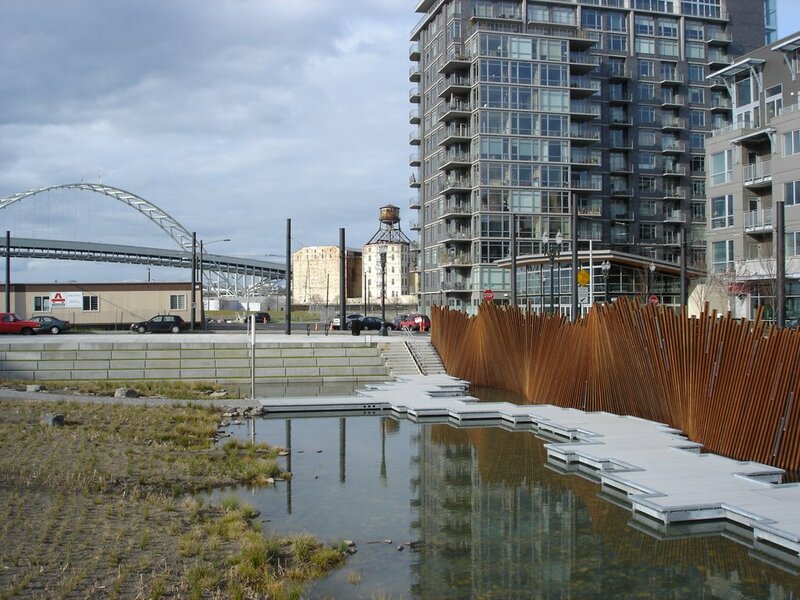 Tanner Springs Park is located on the site of a long vanished wetland where the seasonal boundaries of Couch Lake, the Willamette River and Tanner Creek met. 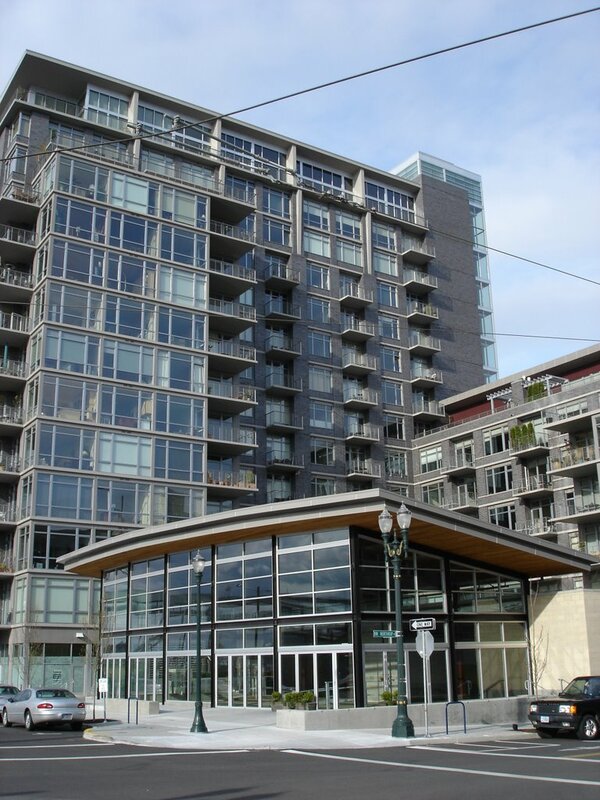 Captain Couch (whose endorsement of Portland as the head of ocean going navigation on the Willamette River was so important to the city’s early success) shot ducks for his dinner from the porch of his house near where Union Station is today. By the end of the nineteenth century the entire area was filled. Tanner Creek was buried and largely forgotten for the next hundred years. The same location, in 1994 and 2006. Tanner Springs recollects, but does not try to recreate the original landscape. It is still a city park and a small one at that. The upper portion on the west side is conventional lawn. A rainwater fed “spring” sends water in small streams to a pond at the lower end of the park. 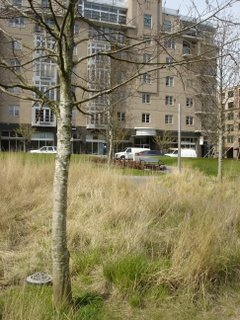 Native Oaks and grasses are planted between the upper lawn and the water. Recycled cobblestones are used on paths and a fence of old rails from the former Hoyt Street Yard form the park’s east boundary. 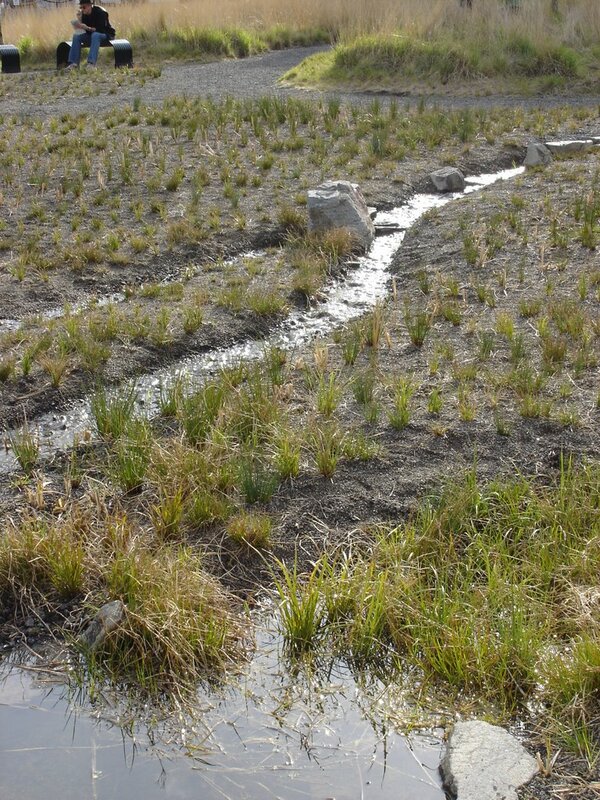 The water circulates through a hidden reservoir which is filtered by the wetland. 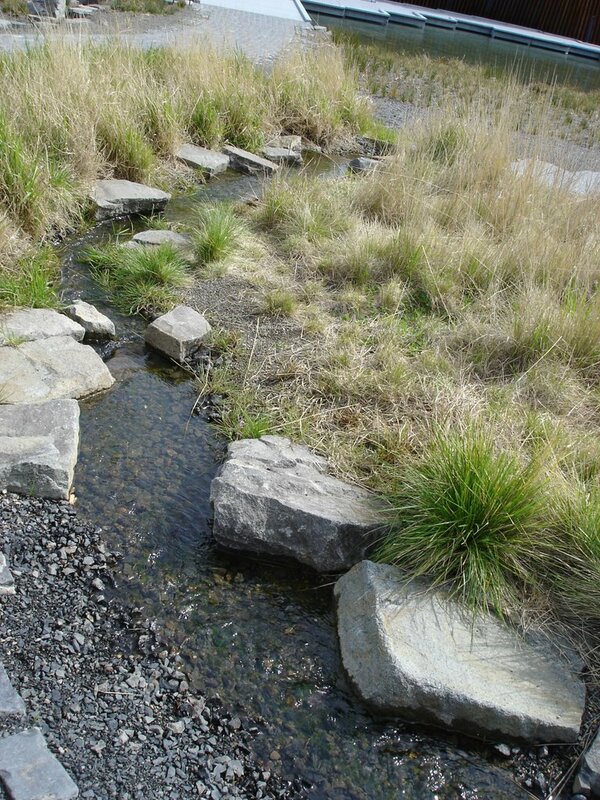 Tanner Spring. This year the park will have its first spring. It will be interesting to see if the “wild” areas will become more so. I hope they do. To some the park is not user friendly enough. Dogs are not allowed. There are no activity areas. 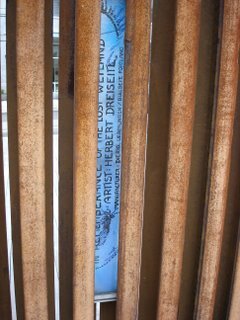 It is fragile. It is hardly idiot proof. To others, who hoped for a daylighting of the original Tanner Creek, it does not go far enough to return the wetland to the area. 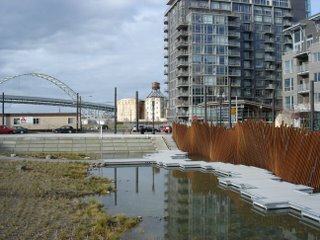 Within its modest boundaries however, it is a unique and engaging addition to Portland’s parks. 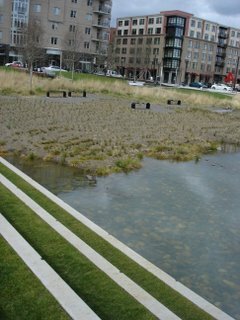 Tanner Springs Park like the neighborhood around it, is an experiment that will not show its final results for years, even decades. How will it look as the grasses grow and the trees get higher? Will the frogs arrive? 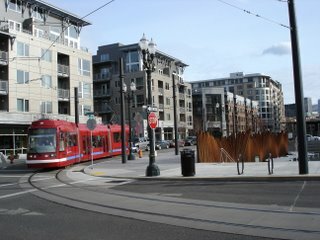 The Portland Streetcar passes the park at NW 10th and NW Northrup. 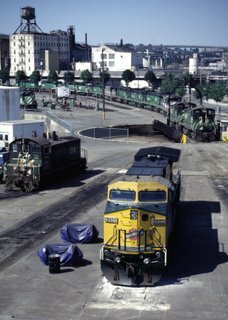 On the site of Hoyt Street Yard, 2006. 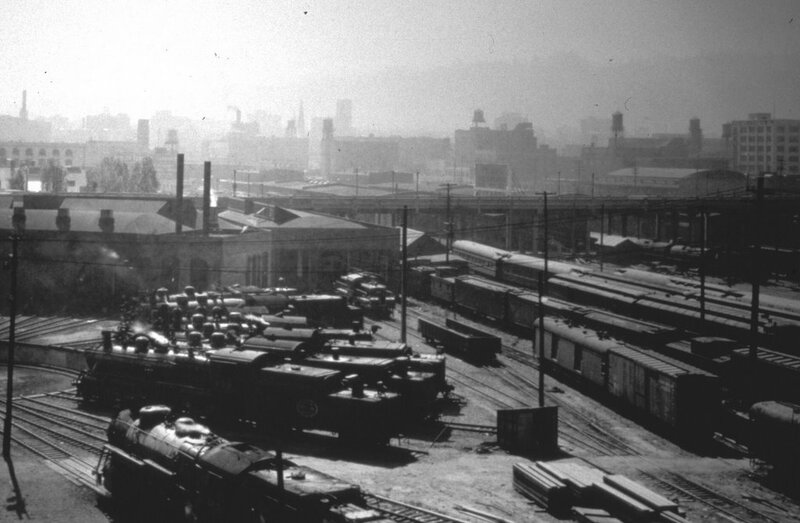 Spokane, Portland & Seattle Railway's Hoyt Street Yards in the early 1940s. The present location of the park is in the right corner of the photograph. 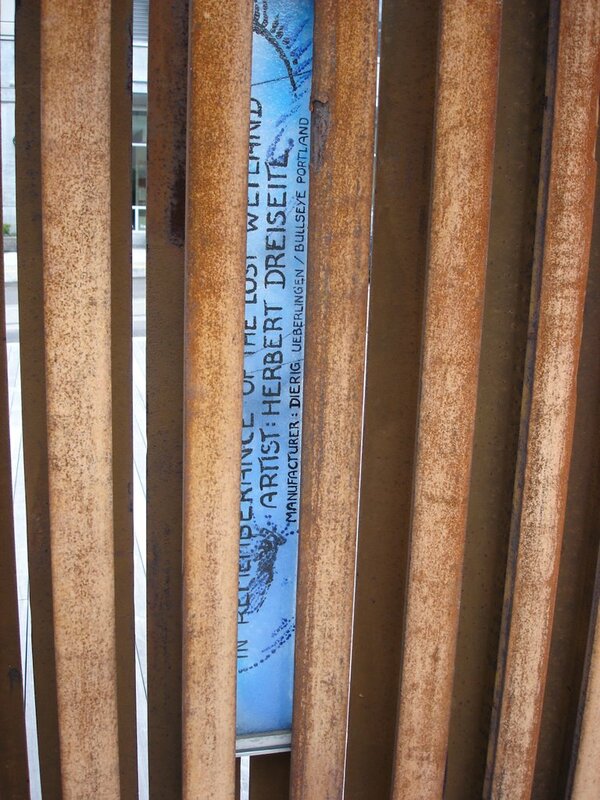 In Remembrance of the Lost Wetland" Aritst Herbert Dreiseitl.